Lucy Walters knows how to make a character surprisingly despicable. Evil can manifest itself in different ways. 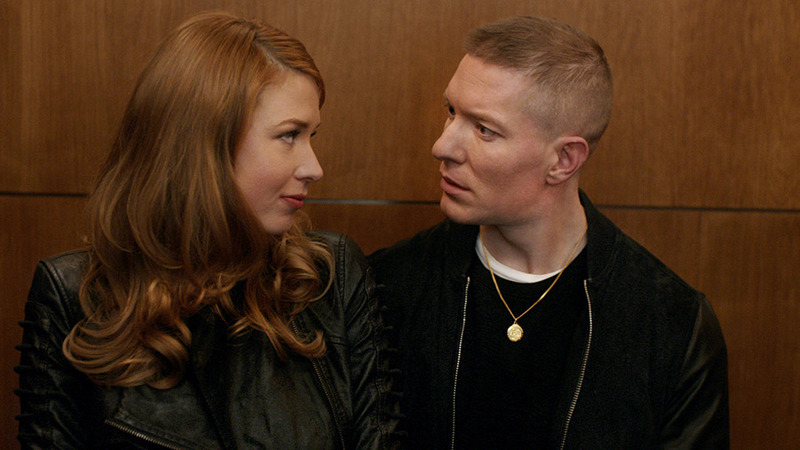 In the case of Power on Starz, diabolical evil comes in the form of a tall, skinny, red-head, white woman, who greatly desires to become part of the massive drug empire that her boyfriend runs. No character on Power is actually “good”. Every person on the show lies, schemes, cheats, and backstabs others in their own way. But, Holly is a special kind of evil because the main reason that she is with Tommy is because she is attracted to Tommy’s dangerous lifestyle and welcomes his short-tempered, often violent demeanor. She’s an enabler, which makes her useful to Power’s plot, while she’s an unhealthy partner for Tommy. She doesn’t seek to better him, and would rather that he remain stagnant — holding his place near the top of the drug hierarchy. She sleeps with Tommy after noticing how violent he actually is, assumedly driven to his problems. If Tommy were not involved in the drug game, Holly would probably want little to do with him, and this makes her the greatest liability to Tommy and his drug empire. Look, love makes a man do crazy things. Holly has pushed Tommy to lie to his close friends and has, in turn, ruined some of Tommy’s most important relationships. Ghost noticed how bad she was for Tommy’s psyche, and when he tried to get her to leave, she wouldn’t listen. If she had not entered his life, Lobos would have little to no leverage over Tommy and could not manipulate him into trying to kill his former friend. But, because her life and her security is in danger, Holly is unwilling to sacrifice herself for Ghost and the family. She doesn’t give a damn about Tommy’s former relationships, including his connections with Ghost’s wife and children. She will use and manipulate them until she gets what she wants, which is ultimately to be heavily involved in the business with Tommy. Lucy Walters, the actress who plays Holly, does an excellent job of making her a hated character. She is able to effectively convey Holly’s complexities, and we are able to see why Tommy fell for the woman, but still wonder why he would continue to be with her. Walters is able to bridge the gap between disingenuous and sincerity so well that the audience is even left questioning if her love is real. The most interesting part is that Holly has committed the least amount of crime on the show. But, at least we understand the other characters’ motives. We dislike Holly because we are still unsure about her and that confusion causes a large distrust. In The Godfather, Michael Corleone tells Fredo, “Don’t ever take sides with anyone against the family again. Ever.” Holly has effectively entered into the circle because all Tommy wants to do is make her happy. He keeps taking sides against the family — siding with his girlfriend over those that have always cared for him. We hope that he snaps out of this love spell before it is too late.